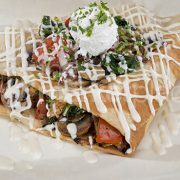 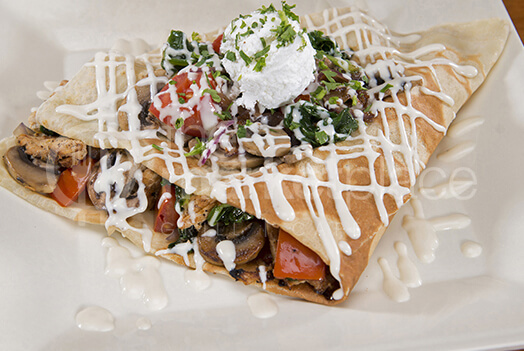 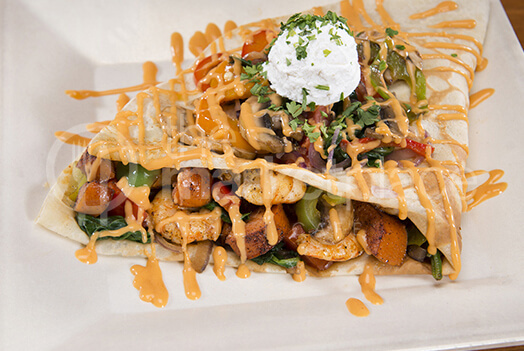 Sautéed Louisiana sausage, shrimp, bell peppers, mushroom, onions and garlic all in a delicious crepe topped with sautéed tomatoes, red onions, mushrooms, spinach and a sprinkle of freshly grated parmesan cheese. 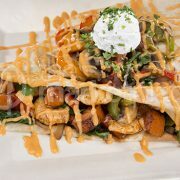 Turn up the heat by asking for it spicy! 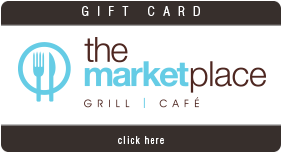 WHY THE MARKET PLACE GRILL | CAFE ?